Thierry Lasry Obsessy (V202) Need Help? 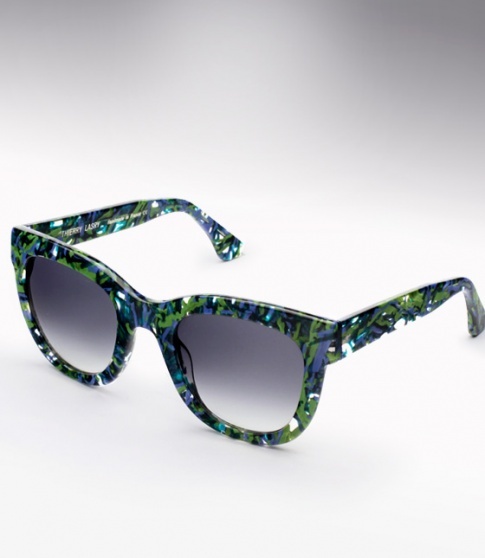 Thierry Lasry takes a very fresh avant-garde approach to sunglasses. Based off the concept of “futuristic-vintage” they utilize vintage designs and color palettes, but incorporate an updated modern touch with a surprising ease. All Hand-Made in France, Thierry Lasry sunglasses use only the best materials. You can just feel the difference in quality. The Obsessy is a well fitting chunky wayfarer. Offered here in a stunning limited edition color cut from sheets of vintage 1980's Italian acetate.